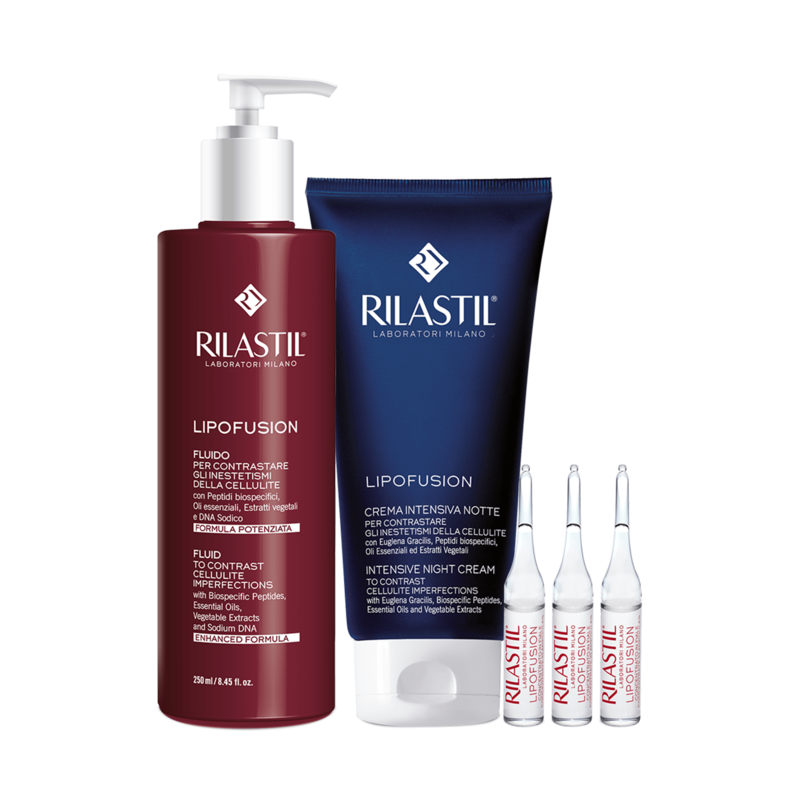 Rilastil Lipofusion is a complete treatment that acts on the main causes favouring the cellulite’s blemishes. Essential oils, beyond enriching the formulation with the characteristic aromaterapic perfumed note, have an active reducing action, in synergy with innovative biospecific peptides and vegetable extracts. A pool of active ingredients with draining and vasoprotective action complete the line. - Hippocastanum Liposome: it favours the resorption of liquids in the tissues, thus reducing oedema. - Tripeptide-3: it increases the ATP levels and stimulates lipolysis.